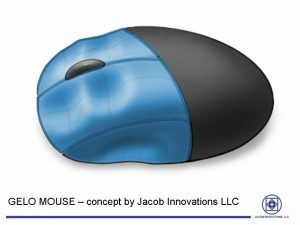 Jacob Innovations LLC has developed a simple solution that brings new comfort to users who spend a great part of their day clicking. Repetitive strain injury caused by prolonged use of a computer mouse is an ongoing problem. To alleviate the strain from excessive clicking the Pad N’Click accessory provides a trio of soft, adhesive gel pads stick to a userâ€™s mouse, promoting more natural hand and finger positioning, in turn increasing comfort and reducing stress on joints. The Pad Nâ€™Click gel pads can be reapplied several times and feature two pads for the fingers placed over the mouse as well as a circular pad that is positioned where the userâ€™s palm is rested. This not only provides a softer surface to rest ones hand on, but also improves the overall position of a userâ€™s hand, promoting more â€œgrippingâ€ than â€œpressingâ€, meaning less stress on the userâ€™s wrist. The concave design of the finger pads encourages the fingers to bend in a more natural position rather than remain straight when clicking. Increasing the total surface of contact results in a more even distribution of pressure. Jacob Innovations is also developing a â€œGelo Mouseâ€ model, which will incorporate ergonomic gel into the body of the mouse.Â The new mouse will also have an added button for the thumb duplicating the role of the index. The thumb button will allow alternate usage between the thumb and the index in order to further reduce repetitive strain. Pad N’Click ARTHRITISÂ – has thicker and more contoured finger pad designed for users who are experiencing pain in their hand from excessive mouse usage. This model takes a bit of getting used to but it was found more effective for users with carpal tunnel. 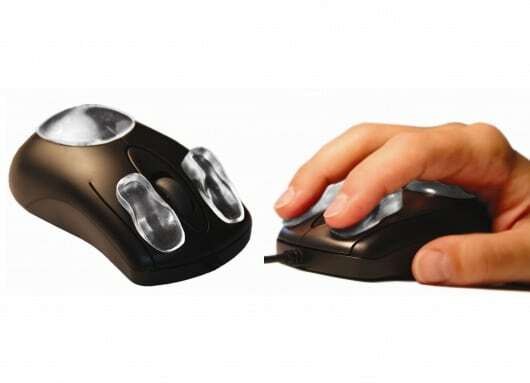 Pad N’Click REGULAR – has thinner finger pads – for users who have no pain in their hands and simply want their mouse to be softer and more comfortable. This model takes no time to get used to.